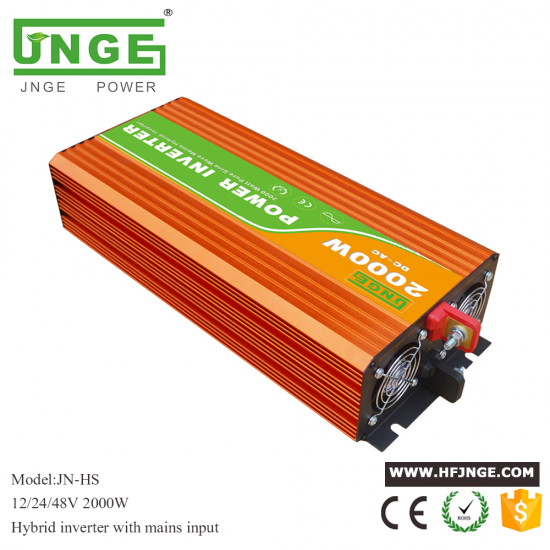 ·Small, light and artistic, benefited from adopting the SMD pastern technology. 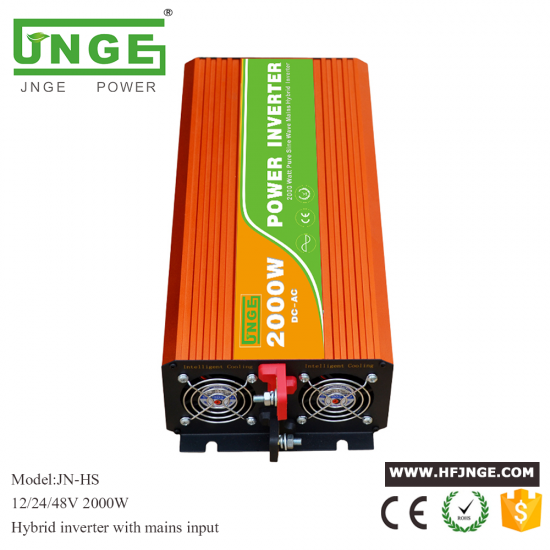 ·Cooling fan is intellectual controlled, and its working status is controlled by CPU, which mostly increased its service life and helps to save the power consumption, improve work efficiency and lower the working noise. 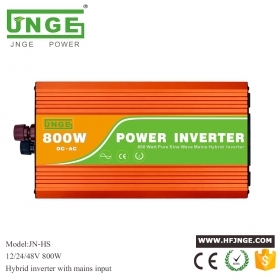 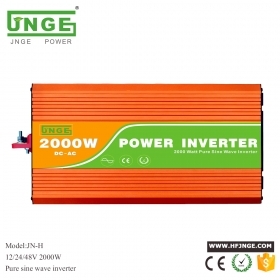 This is a 2000W 12V 24V 48V 96V (optional) pure sine wave power inverter hybrid type which can generate 2000W of continuous power and up to 4000W of power at peak times (peak time reserve capacity is useful if more energy is required to start an appliance than for its continuous running).It has hybrid function with AC mians ,you can set battery working in priority or AC mains working in prioroty as your demand. 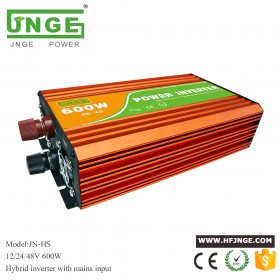 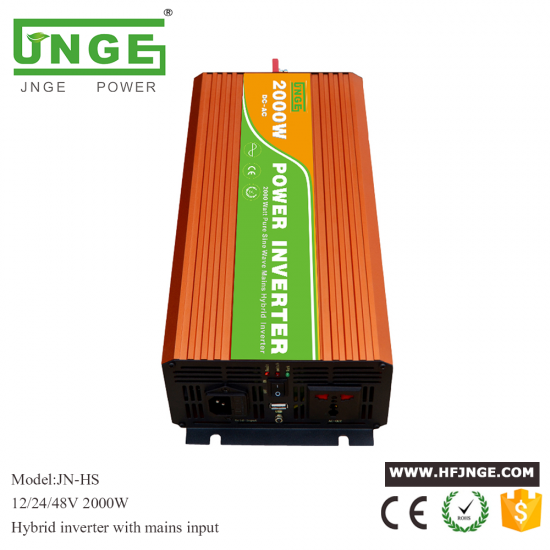 It is more efficient compared to modified sine wave inverters. 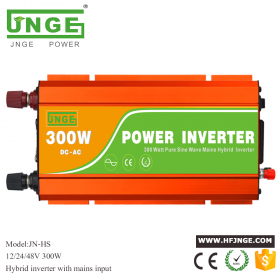 SWITCH Battery working in priority or AC mains working in prioroty can be set as your desire. 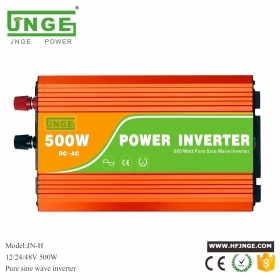 Pure sine wave inverter ·Small, light and artistic, benefited from adopting the SMD pastern technology. 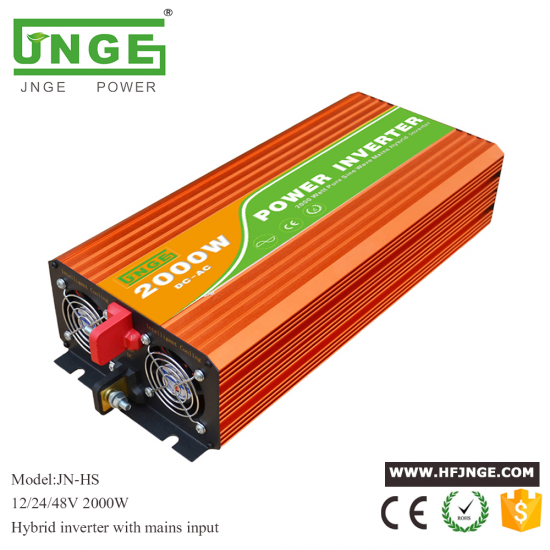 ·Cooling fan is intellectual controlled, and its working status is controlled by CPU, which mostly increased its service life and helps to save the power consumption, improve work efficiency and lower the working noise. 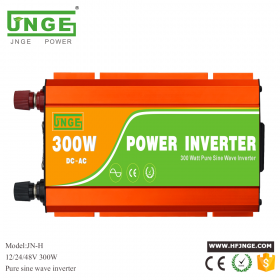 It is very suitable for using it to power many devices such as tv, fridge, light, computer, hifi, ..and at the same time it is a power back up for somewhere has electricity unsteady problem. 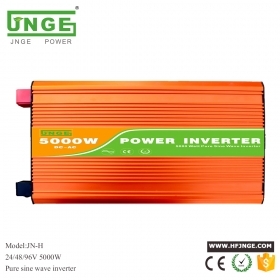 It can be used as an UPS system for computer so the computer will never have data lost due to suddenly no power.